Pioneers in the industry, we offer Zeiss Lens Cleaning Accessories from India. 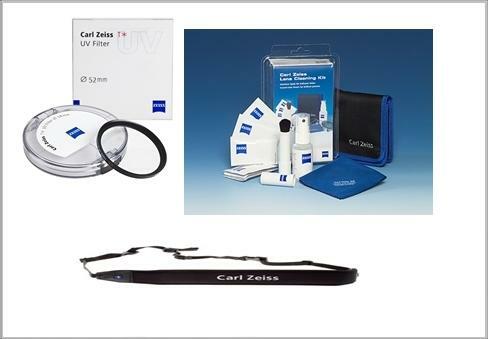 Zeiss Gear Premium Lens Care Kit contains everything you need to take the very best care of the very best optics! Zeiss Optics lenses are high-quality precision-made optical masterpieces. This lens care package helps you maintain their excellence, with lens cleaner fluid, single-use cleaning cloths, a premium cloth, and a small bag to keep it all in. The Zeiss Lens Cleaning Kit is ideal for safely and reliably cleaning all premium optics,including cameras, binoculars, telescopes and rifle scopes. The Zeiss Lens Cleaner is a high-tech formula that quickly cleans all lens surfaces without risk of damage to fragile coatings,especially those with Zeiss anti-reflective multi-layer coatings. To clean any optical surface, apply Zeiss Lens Cleaing Fluid to a cleaning cloth and gently wipe the lens surface, and watch fingerprints, smudges, dirt and oils vanish! Note,Zeiss Lens Cleaner Flud should never be sprayed directly on lens surfaces. The Zeiss Micro-Fiber Lens Cloth is made from brushed knit fabric, and is made to remove smudges and dirt on a daily basis. The cloth can be used dry and should be washed regularly with a mild soap to prevent dirt buildup.